On 7th May 1963 the Commanding Officer, Lt Col M A Lowry, MC., and his wife left the Battalion and returned to the United Kingdom, he had assumed command in Colchester in 1960 and had taken the Battalion to Aden for the Tercentenary celebrations. This was followed by the move to Hong Kong. Lt Col Lowry had worked tirelessly for the Battalion but had taken time off to get married, which delighted everyone: He was no mean sportsman and played most games for the Battalion. He was succeeded by Lt Col E G Woodman. MC, The Queen's Own Buffs, accompanied by his wife. Colonel Woodman confirmed the plans for the training season in preparation for the Battalion's move to BAOR at the end of 1963. In Germany the Battalion was to be equipped with APCs and therefore emphasis was towards driver and signal training. German language classes were started with the unofficial help of Mrs Bennett, wife of Cpl Bennett of HQ Company. This training took place against the background of a severe drought brought about by the failure of the annual rains. This entailed most stringent rationing in the hot climate, most unpleasant for the civilians as well as the soldiers. Water was turned on at the mains for four hours only every fourth day. The Battalion was lucky as 3 tonners went down to Stanley Village Bay and filled up with sea water for the families and barracks. The Glorious First of June was celebrated in the usual style and was notable for the first appearance of the Battalion monthly newspaper 'Braganza'. In August WOI R L Wildgoose returned to the Battalion from the Territorial Army to take up the post of Regimental Sergeant Major, while WOII A Quickenden, who had been Company Sergeant Major of A Company, left to take up the vacant post of RSM in the 3rd Battalion. The Battalion's tour in Hong Kong was now in its last months and there were many farewells to be made. The Band and Drums, wearing their scarlet tunics, and the Drum Major his new sash, Beat Retreat on the square at Stanley before a large audience. Afterwards HE the Governor, the Chief Justice and the Commander, British Forces and many others were entertained in the Officers' Mess. The Sergeants' Mess was not to be outdone and held its final ball which it was hoped would revive the spirits of those members who had been isolated on Stonecutters Island for weeks while engaged on range duties. The Mess was spotlighted and gaily decorated for a fine evening's entertainment, which was much enjoyed by their wives and friends. In return the officers invited the Sergeants' Mess in for a drink before lunch to thank them for their hospitality during the stay on the Island. The move home was to be by air via Calcutta, Karachi, Istanbul to London for six weeks Christmas leave before reporting to Münster. As departure time drew near the Assault Pioneer Platoon was very active in manhandling the heavy baggage, anything that could be, was crated for the sea journey direct to BAOR. 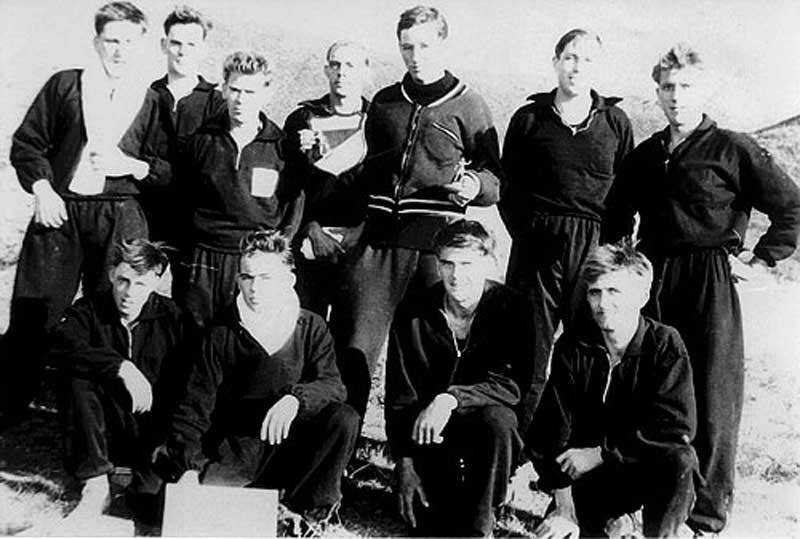 A flight of BOAC Britannia aircraft left London with the advance party of the South Wales Borderers and took the Battalion's advance party back. All went well and the Chief Clerk, ORQMS Wilmshurst, was at Kai Tak airport daily crossing off items and personnel on his millboard. The move went off very smoothly and efficiently. C/Sgt Riley and his wife were at the airport waiting for their flight home when news came that President J F Kennedy had been assassinated. The aircraft prior to their's had trouble and after jettisoning its fuel made a belly landing with one wing in the sea. The passengers and crew, using the emergency escape shute, were safe. The Riley's plane was the next to leave after the runway had been cleared and they boarded it with some trepidation. They took their dog with them. She had been saved from a Chinese cooking pot, after quarantine she lived to the ripe old age of seventeen. At Hong Kong a high degree of achievement was maintained by the Battalion in many sports and activities. Two teams were entered for 'Round the Colony Race' in which various military skills were required and although top places were not gained against the Gurkhas, some credit was recorded. The Gurkha Khud Race was, however, won by Lieut A F S Ling. There was sporting success in the major competitions in swimming, hockey, rugby, soccer, athletics and water polo. 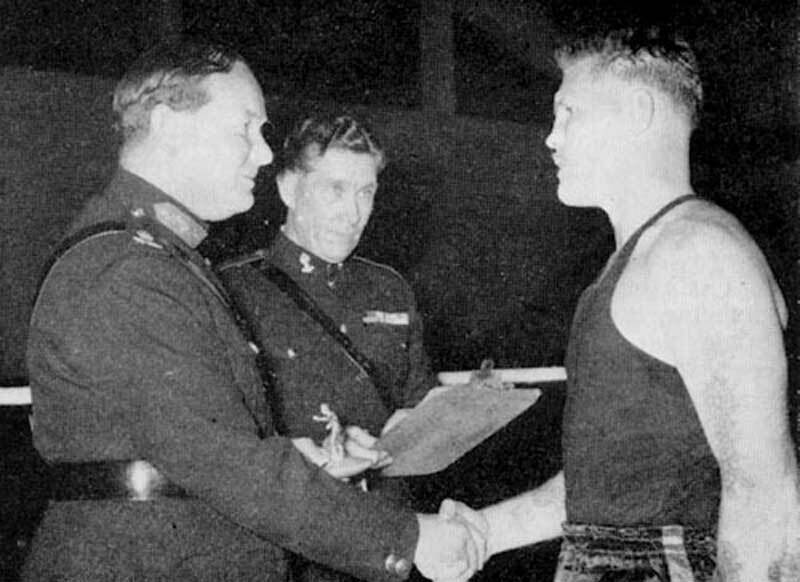 The Queen's Surreys won the Land Forces Boxing Championship and finished second in the modern pentathlon, and were Colony and Army Champions at Hockey. 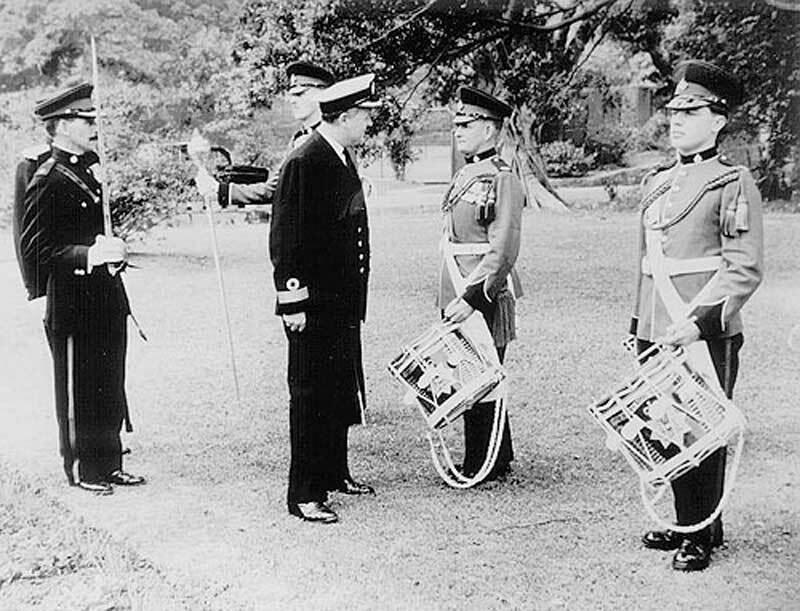 Throughout its time in Hong Kong the Battalion had consolidated its affiliations with the Royal Navy and Royal Marines - particularly close links were formed within the Hong Kong Squadron of minesweepers. The Battalion was affiliated throughout with HMS Chawton and a number of soldiers had trips to sea on her patrols. Special relations were established with visiting ships, HMS Lincoln, HMS Bulwark with 45 Royal Marine Commando embarked; HMS Llandaff and lastly HMS Cassandra. Most contacts involved football and hockey as well as the mutual parties in the ward rooms and messes. WOII Jennings and his wife remember with affection their first Army married quarter in Stanley. It was a bungalow with magnificent views over the islands. They had the service of an amah to help with the running of the quarter. Life was very pleasant. There was no need to be bored, a trip on the ferry to watch the world go by was of constant interest. Plenty of time for window shopping and meeting friends and taking meals out in Kowloon and in Hong Kong. Hong Kong was a fun place, full of colour and excitement, and if not broke one could have a lot of enjoyment in Wanchai . It was not altogether only the 'poodlefaking' the Battalion members would remember but also the constant exercises in very hilly country: The plains of Germany would be a contrast to the hills of Kowloon and the New Territories. After the last Annual Administrative Inspection in Hong Kong The Brigade Commander wrote, "Overall opinion is of a competent, happy and well-led Battalion, who will be capable of adapting themselves to their new role of an APC Battalion in BAOR without difficulty." By 30th November 1963 The South Wales Borderers were in charge of Stanley Fort, and to the Queen's Surreys it was a happy memory.